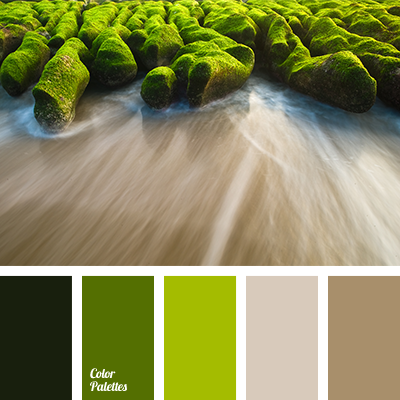 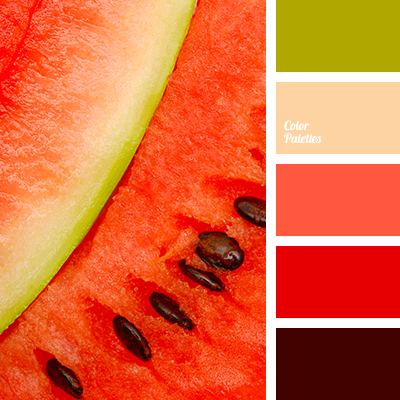 Juicy palette of late summer of green, yellow and red is associated with a light gray shade on the transition to dark gray. 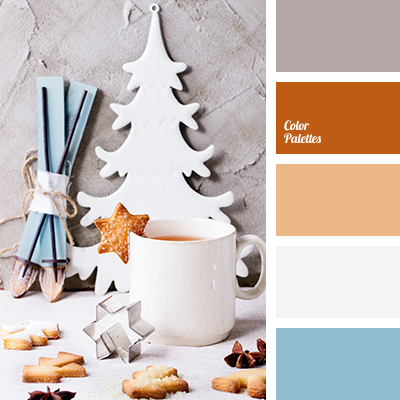 Suits well interior of kitchen, dining room and children’s room, as well as design development of garden-plot. 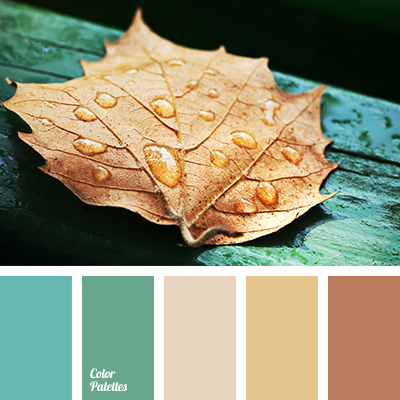 Autumn wardrobe of this gamma will improve mood. 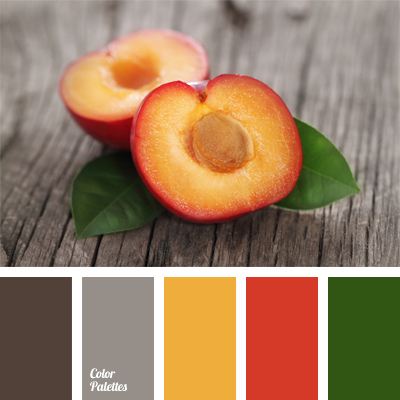 color gamma for interior, color matching for home, color of apricot, color of green leaf, color of peach, color of peach’s flesh, dark green color, gray color with a hint of brown, gray-brown color, green and orange, orange and gray, orange color, orange-red color.